All Time Low will be back next year with new music. That's what Alex Haskarth and Jack Barakat were saying at Coachella this weekend, anyway. With Slam Dunk on the horizon next month, the pair were talking tro KROQ at the US festival, and revealed that they're planning a bit of a break with new music scheduled in for 2020. "We’re taking a little break, but hopefully by next year we’re going to be ready to go again," Alex explained. 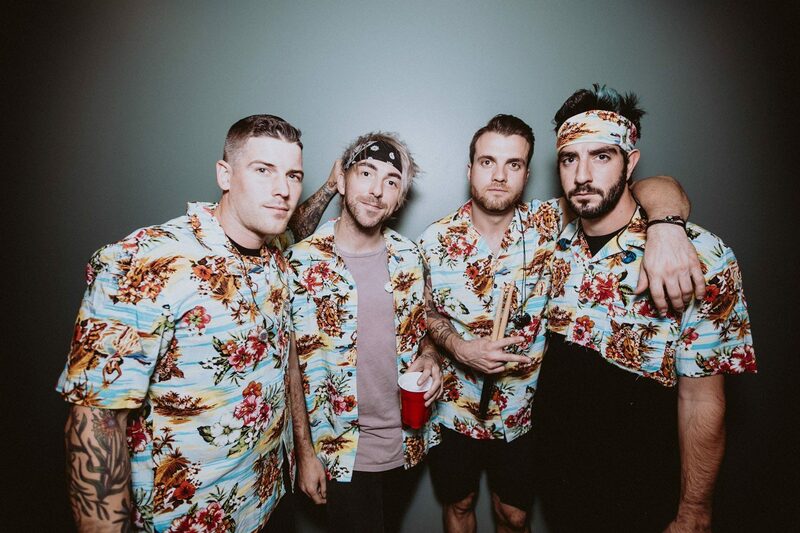 Obviously, Alex has his 'other band' with blink-182's Mark Hoppus to play with too - but it seems like he's not the only one with plans for the break. "Alex is doing Simple Creatures, and I’m working on a little somethin’ somethin’," Jack revealed. "But the thing is, no matter what, All Time Low loves touring," he continued. "Alex wants to do his thing, but I’m gonna make him come back. The thing is I was like ‘Alex I want to take the year off, you go do Simple Creatures, I want a break’ and he was like ‘let’s get back in the Fall’ and I’m like dude no - I want to sleep."